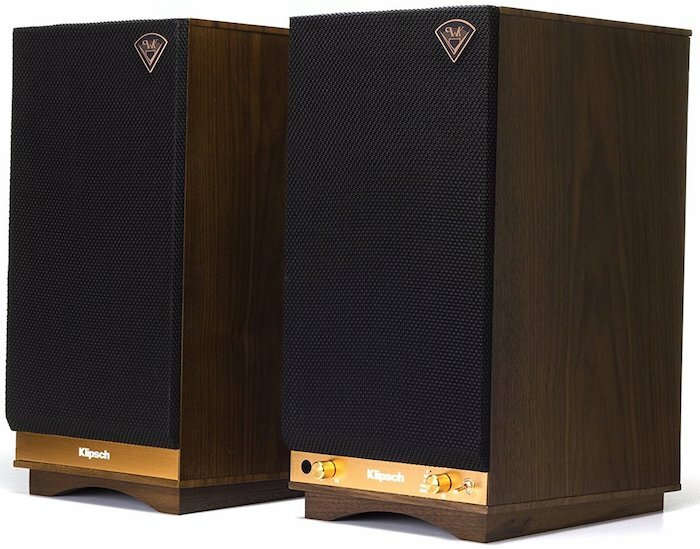 Klipsch the Sixes are part of Heritage Wireless series of speakers that use Bluetooth technology. What this means is that you can connect them to any kind of Bluetooth-enabled device – smartphone, PC, laptop, turntable – you name it. But, the fact that they’re wireless isn’t the main reason that attracts users to Klipsch the Sixes. 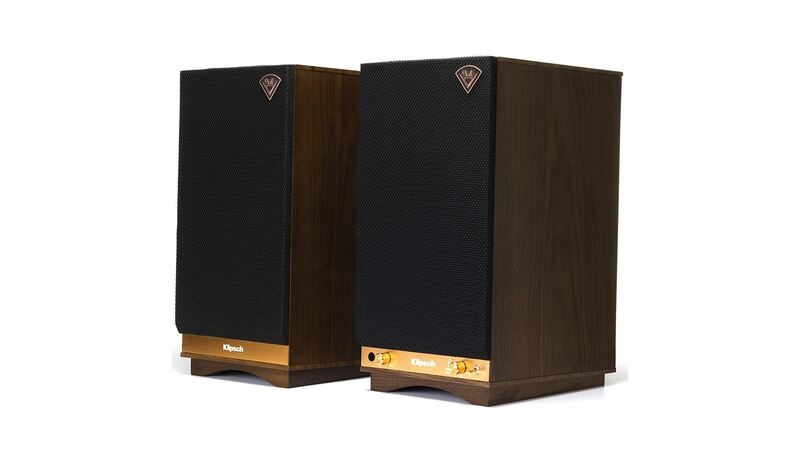 What makes these speakers really stand out from the crowd is their vintage design. 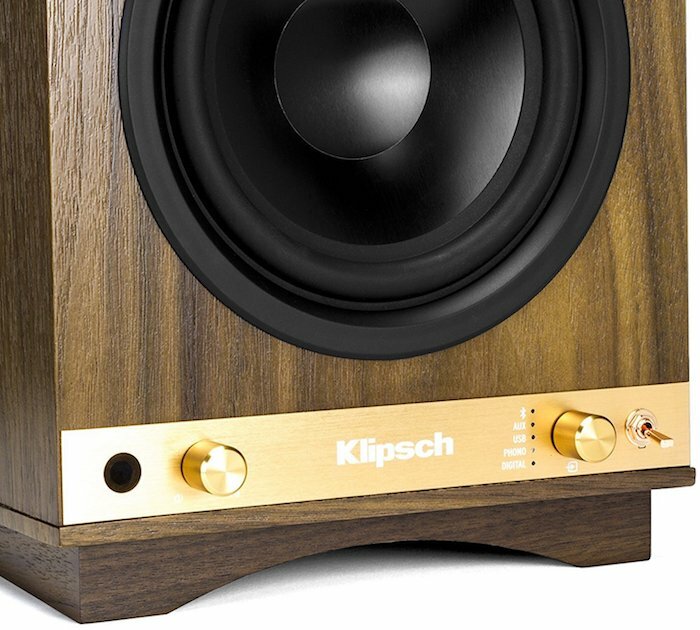 There aren’t many bookshelf speakers that look this good. The mid-century design of the Sixes Powered Monitor is great for anyone looking to get a sound system for a great 50s or 60s living room. A peculiar thing about them is that they’re larger than average. 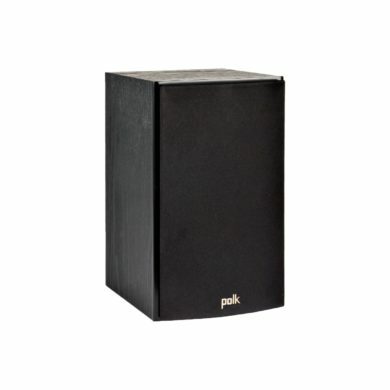 The speakers measure 11 x 8.6 x 16.8 inches and weigh 33.7 pounds, making them larger than other products in their class. 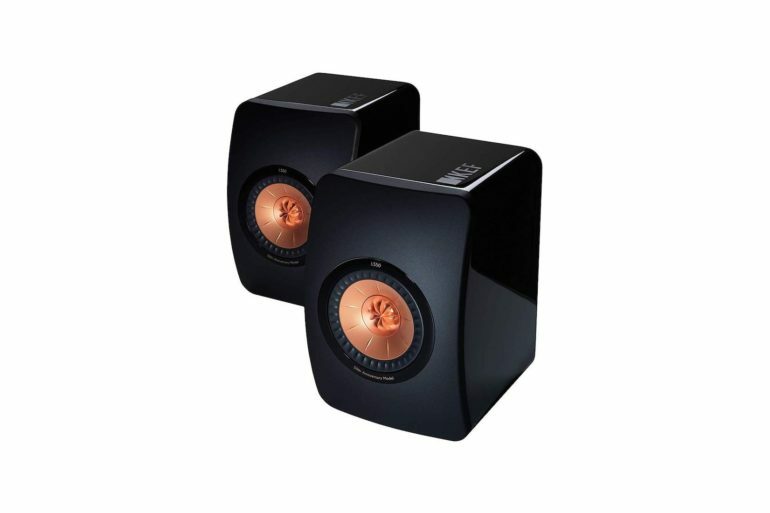 Klipsch RB-10, for instance, are nearly two times smaller. 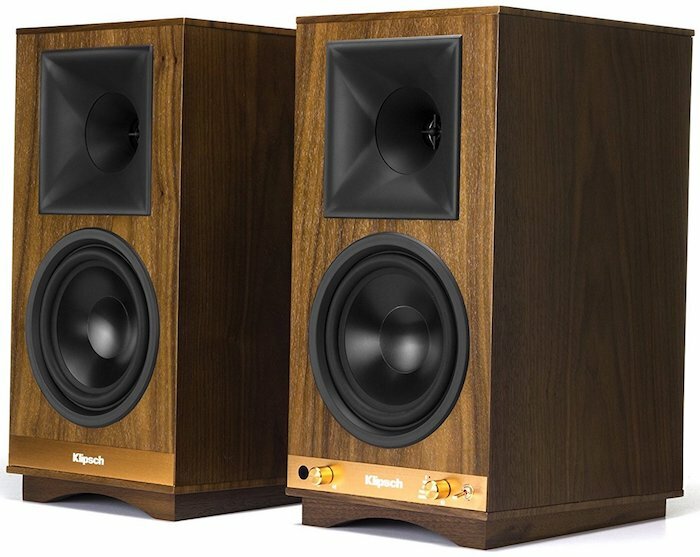 Furthermore, The Sixes weigh five times more than the smallest bookshelf speakers in Klipsch’s current offer. This having been said, they are larger than other bookshelf speakers, and it may be more difficult to fit them in smaller places. However, they are a work of art and can be beautiful display pieces. Of course, looks aren’t everything, At least, not in the case of The Sixes. These speakers are fantastic when it comes to audio performances and come with all kinds of useful features. 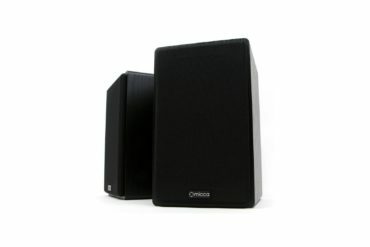 One thing that sets these speakers apart from others is the fact that they can be connected to a large variety of devices. There are ports to connect it to anything from a television to a smartphone. It also comes equipped with wireless Bluetooth technology that makes it easier to connect it to virtually any device capable of a Bluetooth connection. The fact that you don’t need any wires to use them might make you wonder about their performances. 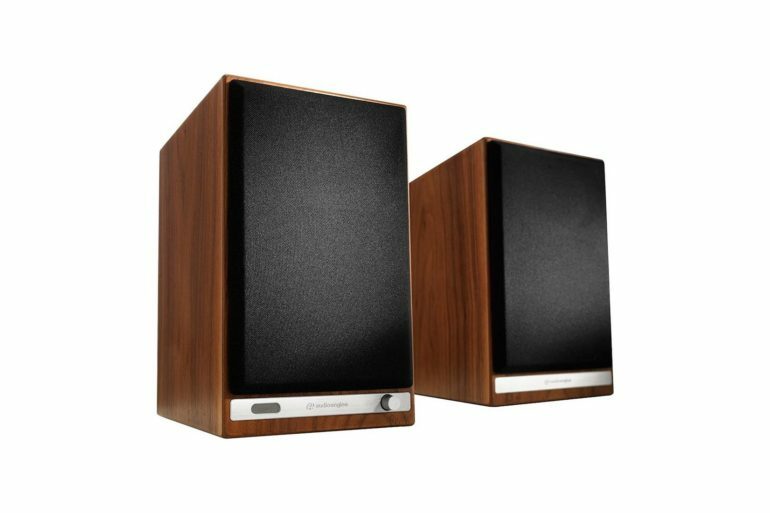 But, you got nothing to worry about, the Bluetooth wireless technology used for these speakers is so sublime you can be sure there won’t be any discrepancies while streaming audio directly from a phone or computer that’s a few meters away. Reasonable Price – To be frank, it’s really surprising that the price of these speakers is so reasonable. 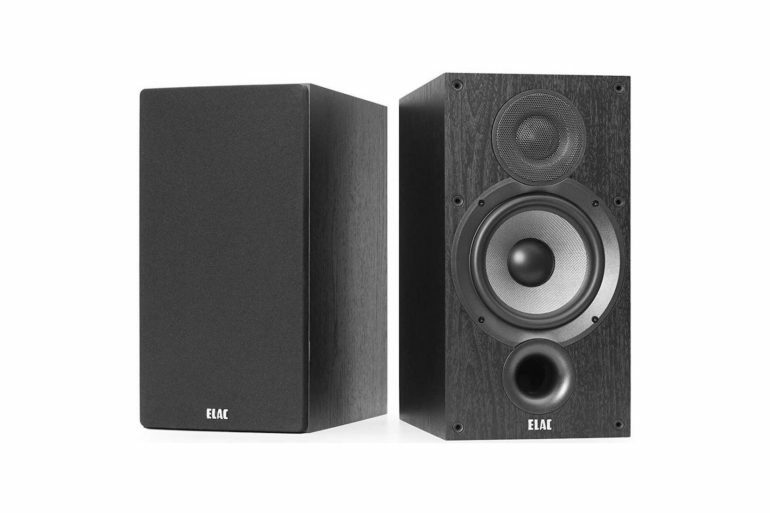 After all, some bookshelf speakers with similar performances as The Sixes cost several times more. Size – Some may be put off by the fact that they are somewhat bigger than normal. Their size makes them impractical for anyone who do does not have a lot of room in their living room. These may not be the smallest speakers, but they’re not the biggest either. And with the large number of ports that they offer, The Sixes are great to have if you need a sound system that you can connect with multiple devices or to which you can stream music from your phone or tablet. And we also can’t ignore the fact that these speakers look fantastic. You won’t even have to play music in order to show everyone you’re a true audiophile. People will know it just by looking at these speakers. And once you turn them on, the speakers will blow everyone’s mind with their impressive audio performances.